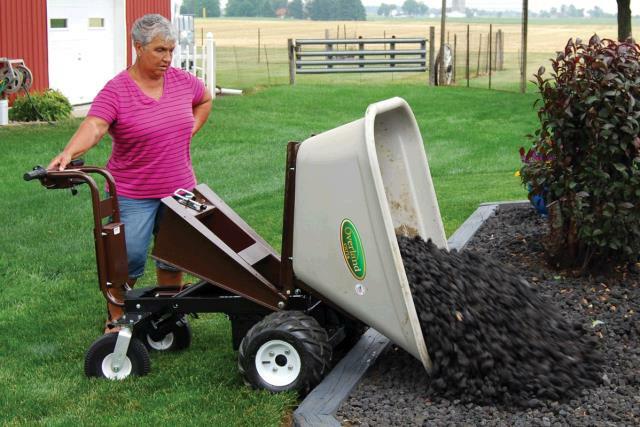 Electric wheelbarrow for firewood, ceramic tile tear outs, mulch and more! 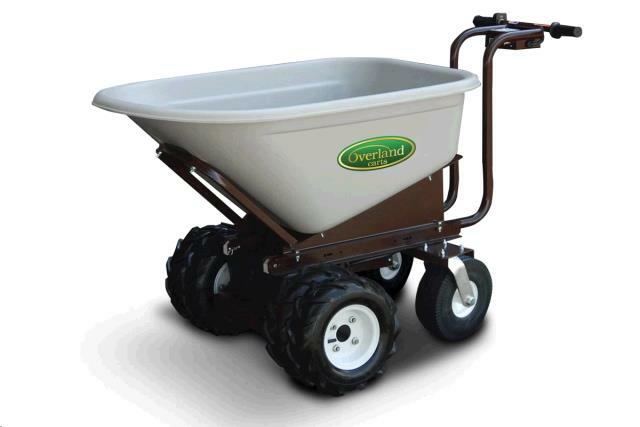 Cannot be used to haul wet concrete! Volume - 8 cu. ft.
RESET BUTTON BETWEEN FRONT TIRES .